LONDON - Holland & Barrett, the health-food and supplements retailer, has dropped WCRS from its £7m advertising account. Phil Geary, director of trading at Holland & Barrett, has launched a review of its advertising business. WCRS was not invited to repitch. The agency won the account in April 2008. 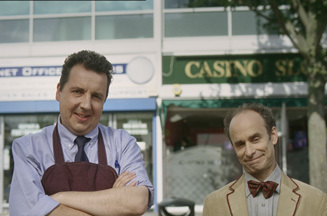 Last October it rolled out an ad campaign featuring the characters Mr Holland and Mr Barrett. However, the retailer announced that it was dropping the characters earlier this year, in favour of a return to price-led advertising. 'The creative looked great on paper beforehand, but it didn't deliver what we wanted,' explained Geary. Big Communications and Guerilla Communications are now in the running for the business. When the latter handled the Holland & Barrett account in the past, it created ads featuring former 80s pop star Kim Wilde. Holland & Barrett will also not retain Woo Communications, WCRS' sister agency in The Engine Group. The agency had handled the retailer's in-store marketing.